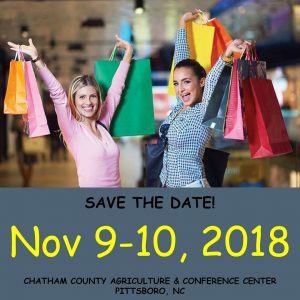 A two-day women’s event: networking, food, fun, shopping. Exhibitors, prizes, and giveaways. The show will be a great opportunity to enjoy the very best this area has to offer in shopping, fashion, food, entertainment, cosmetics, and more. There will be presentations on continuing education and financial planning, to wellness, health and beauty, and fitness. Find them on Facebook, Twitter, and Instagram. Venue: Chatham County Agriculture & Conference Center.